378 Collarmill Road looks like an ordinary house. But sometimes, the world outside the windows isn’t the one you expect to see. And sometimes you’ll turn around and find you’re not alone. The suburb of Crawbeck, on a hill outside the English city of Manchester, overlooks the woodlands of Browton Vale. Alice Collier was happy here, once, but following the end of her marriage and loss of her daughter, she’s come back to pick up the threads of her life. John Revell, an old flame of Alice’s, reluctantly comes to her aid when the house begins to reveal its secrets. The hill on which it sits is a place of legends – of Old Harry, the Beast of Crawbeck, of the Virgin of the Height and of the mysterious Red Man – and home to the secrets of the shadowy Arodias Thorne. 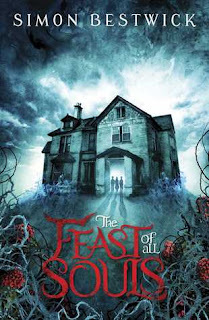 I've yet to give Bestwick a read, but with Halloween on my mind I've been looking at upcoming horror releases, and I love the look of this one. Oooh that looks spooky!! I love a good creepy read! !